On 25 August 1928, Arsenal and Chelsea became the first teams in Europe to wear shirt numbers, though not against each other. The two teams weren't even in the same division at the time, with Arsenal playing in the top flight and Chelsea in Division Two. But when they each opened their seasons, both had adopted the innovation of wearing shirt numbers to help identify the players. 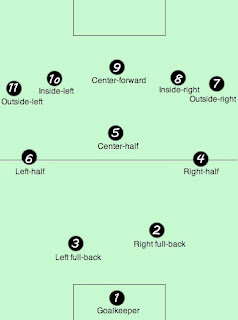 The number were assigned by position used in the 2-3-5 formation prevalent at the time: goalkeeper (1), right full back (2), left full back (3), right center half (4), center half (5), left center half (6), outside right forward (7), inside right forward (8), center forward (9), inside left forward (10), and outside left forward (11) (though only Arsenal used all eleven, as Chelsea's keeper did not wear a number that day). While both Arsenal and Chelsea may have been able to better identify their players, the day's results went in opposite directions, with Arsenal losing 3-2 to Sheffield Wednesday and Chelsea beating Swansea 4-0. 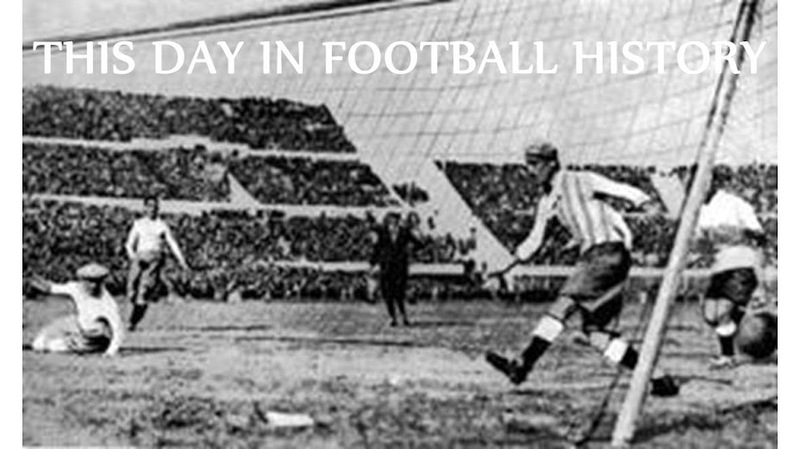 Although this was the first use of shirt numbers in Europe, they were used in the US four years earlier by Vesper Buick, when they lost to Fall River in the US Open Cup Final (shown below).